Earthquake Prediction: The Sun Today! As expected, a solar wind stream flowing from a now geoeffective coronal hole (56) has reached our planet. Enhanced geomagnetic activity will be possible at higher latitudes. 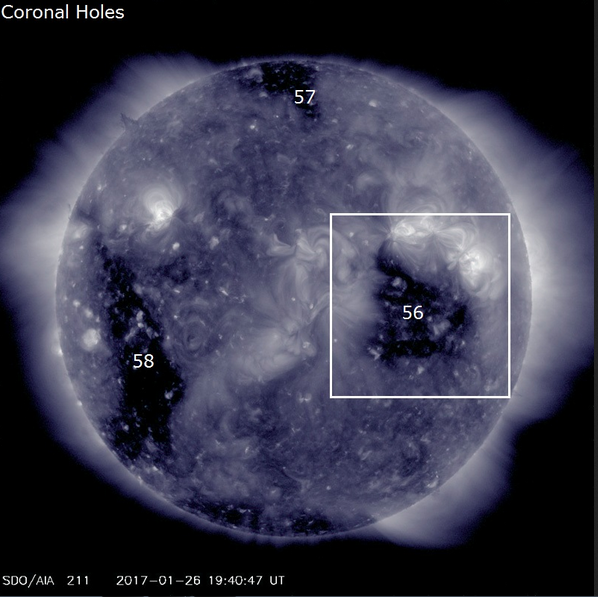 Sky watchers, especially around the Arctic Circle, should be alert for visible aurora once dark outside.pected, a solar wind stream flowing from a now geoeffective coronal hole (56) has reached our planet. Enhanced geomagnetic activity will be possible at higher latitudes.